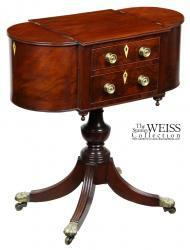 This is a work table that has all of the bells and whistles. 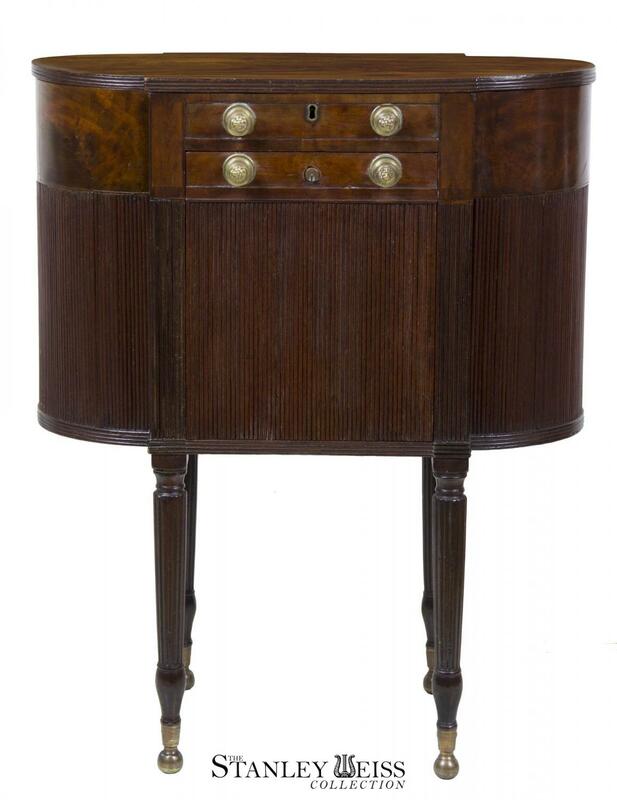 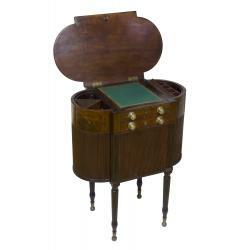 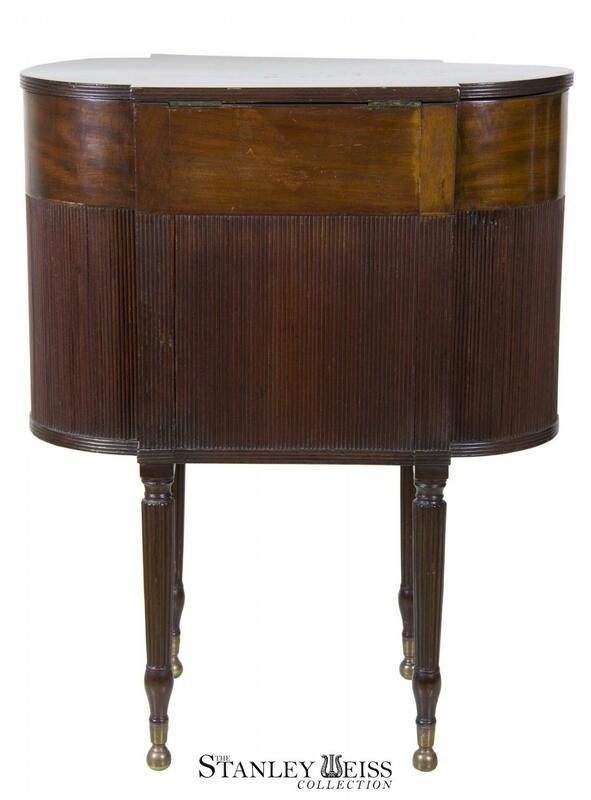 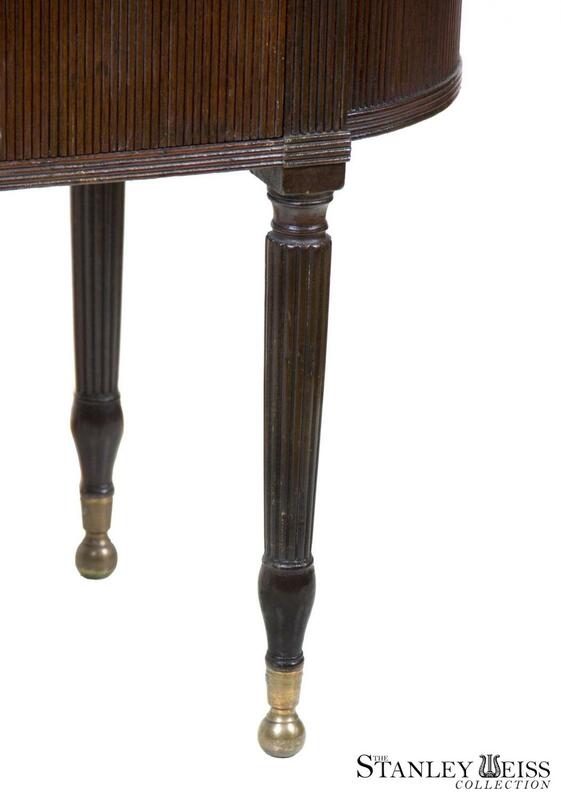 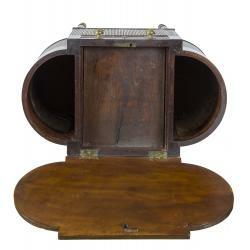 It is a highly developed piece having a strongly figured astragal shaped top with a conforming case further developed by the reeding motif which is carried throughout the case, legs and all, all of which sits on Classical ball feet which are typical of the best New York pieces of the time. 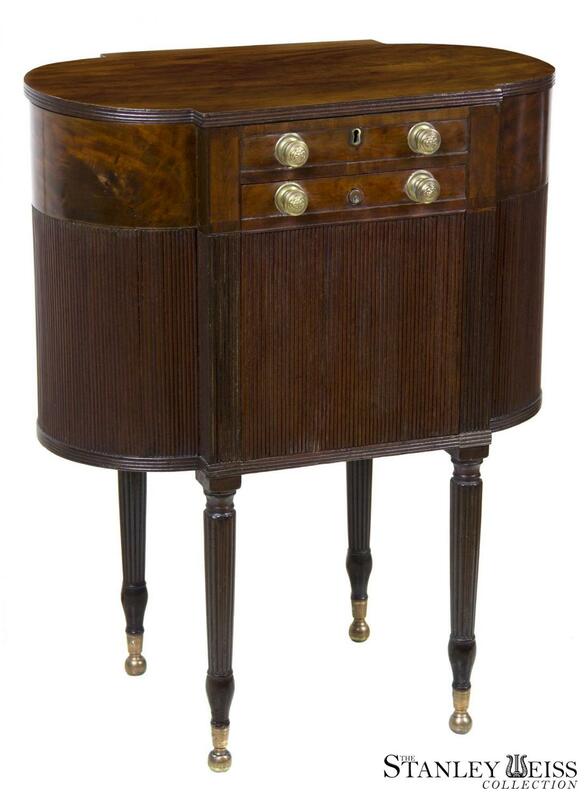 Compare this to the simpler but quite formal worktable that is now part of the Francis Garvan Collection, (auctioned in 1921 at the American Art Association, Anderson Galleries, Inc.). 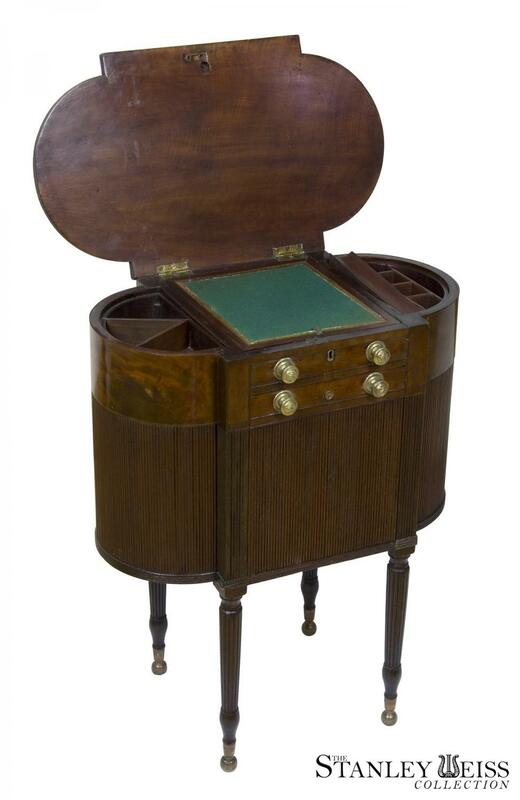 See attached, noting the lack of reeding, complexity of drawer arrangement, brass ball feet, etc. 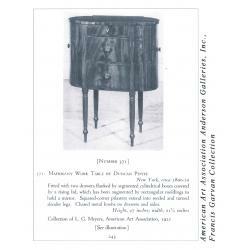 Another example of the astragal worktable form as expressed differently in Philadelphia is illustrated in our collection, see item sw00919. 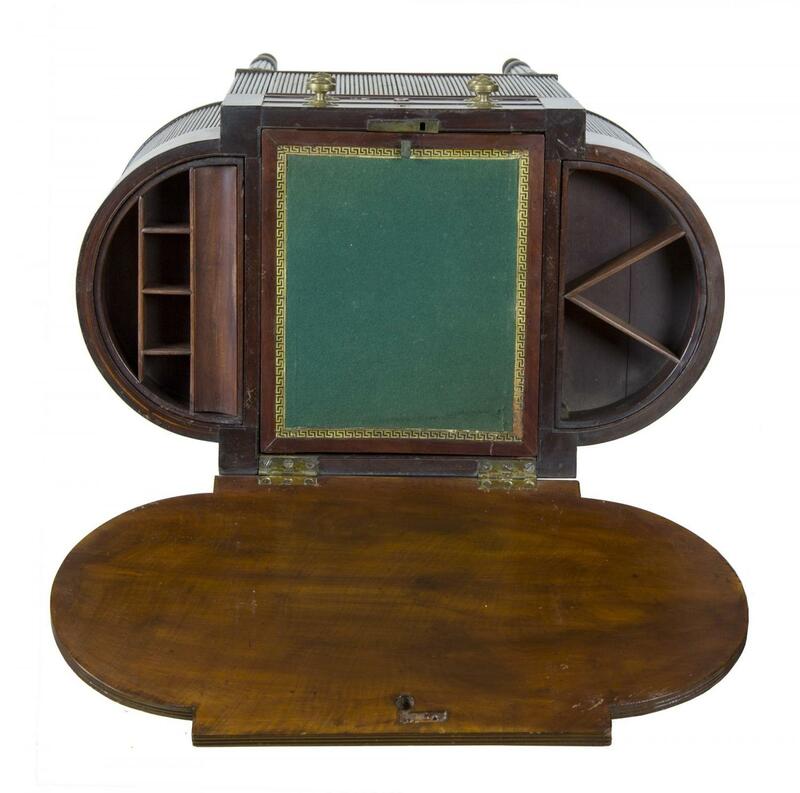 While serving as a work table, the top hinges up, revealing a central writing surface, flanked by two semi-circular trays, with a pencil tray and various divided compartments. 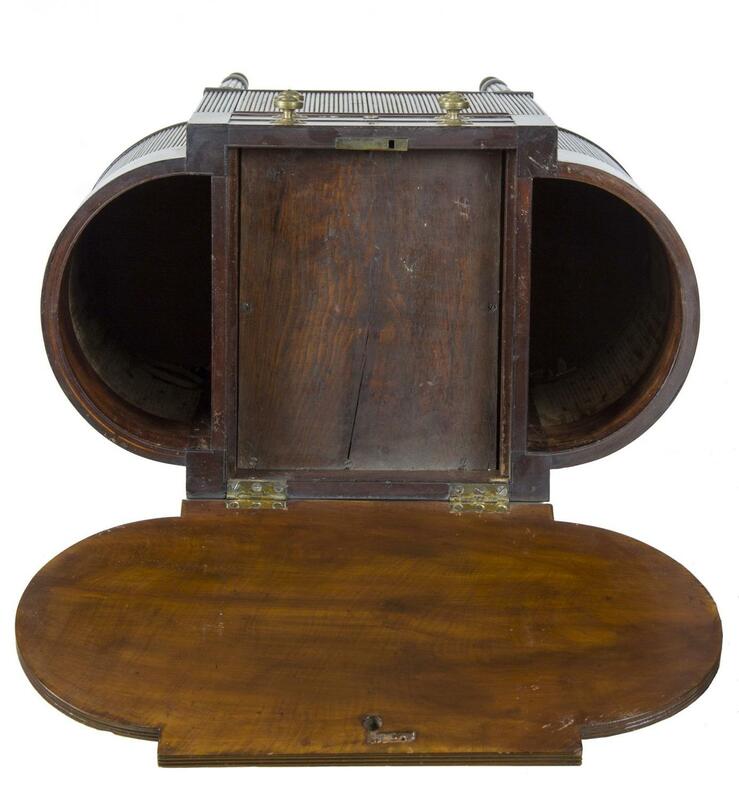 The writing surface removes to reveal a storage space, and the two trays remove to give access to the deep wells in the space created by the astragal ends. 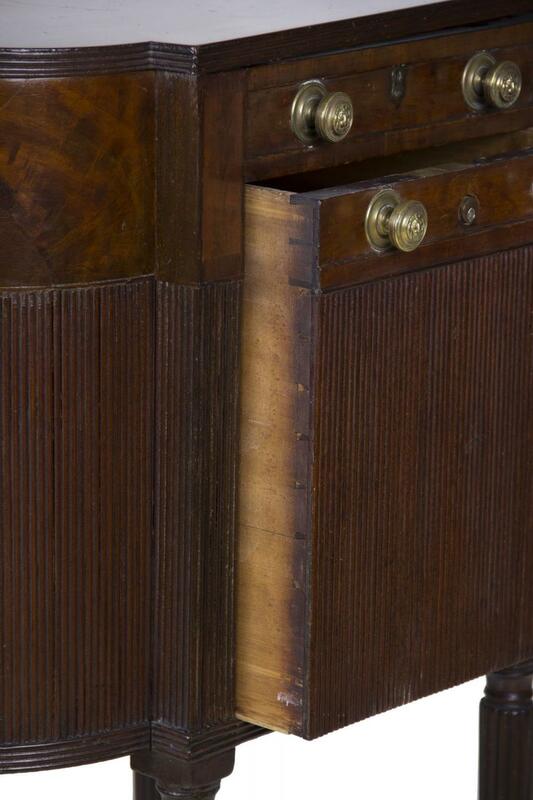 The central drawer on the front of the case also pulls out to offer a deep storage area. Also of note is that the writing surface retains its original felt with Greek key border. 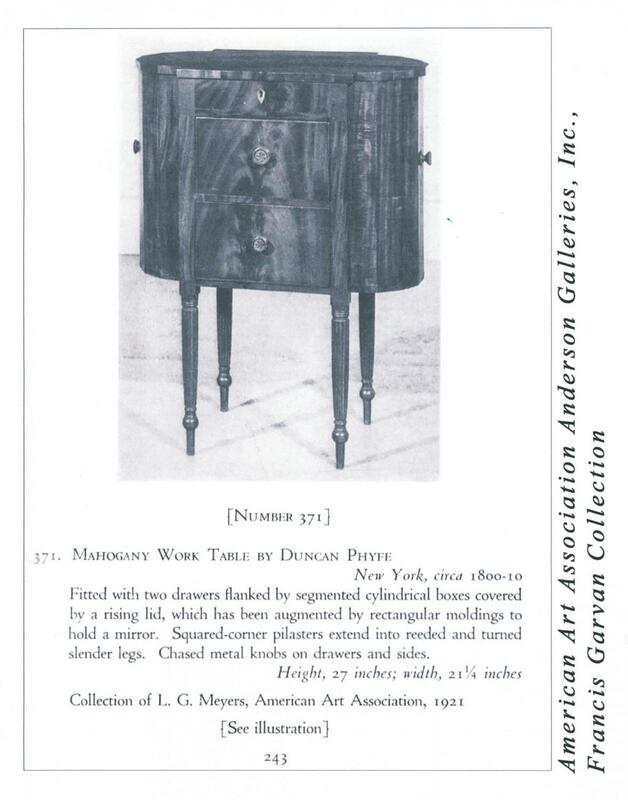 This was a well cared-for piece. It is finely crafted, and the mahogany is a deep, rich, red-brown with strong figure. 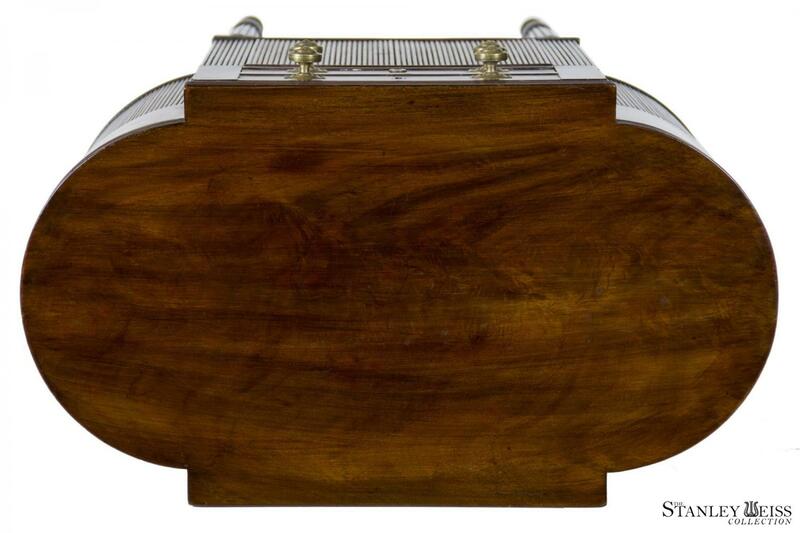 Note the use of fine dovetailing. 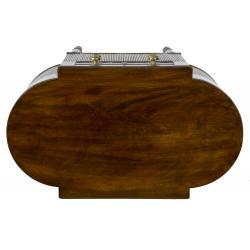 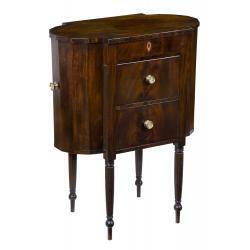 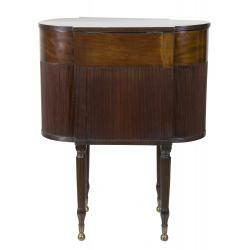 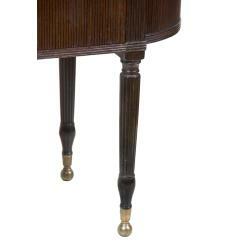 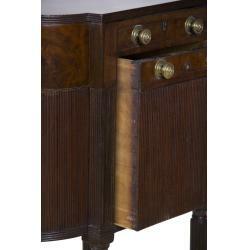 Note should also be made of the use of the tambor, which is the ultimate in the appearance of reeded wood.